Jesus I thank You for this day to live in Your Divine Will, please take my will and I ask you to give me the gift of Your Divine Will in exchange for my will through the Immaculate Will of Mary, I merge my will in your Divine Will and so I set all the acts of this day in order in the Divine Will, by this prevenient act. Mary my mother, I give you my will that through Your Immaculate Will it be immersed perfectly in the Divine Will. Please give me a sip of Divine Will for my soul, bless me and help me to make my first act of the day an act of love in the Divine Will. 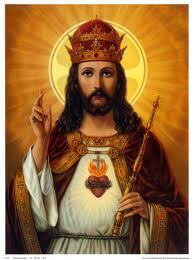 Jesus I offer you my first act of today as an act of love in Your divine Will: Jesus, I loveYou! Then say morning offering, etc, inserting “in the Divine Will” as appropriate. Do actual acts at beginning, middle and end of all actions, consciously. Call the Divine Will into all actions.